Can Deferred Action Beneficiaries Get Driver’s Licenses? As the Deferred Action for Childhood Arrivals (DACA) initiative begins accepting applications this week, many are wondering whether beneficiaries of the program will be eligible to obtain a state driver’s license. At this point the answer is: it depends. Each state has its own laws for the issuance of driver’s licenses, and applicants generally have to show proof of age and state residency. Currently, all states but two (New Mexico and Washington state) also require proof of lawful immigration status, either by showing immigration documents or indirectly by having a Social Security Card. (Utah issues “driving certificates” to people who cannot prove lawful presence.) State laws typically contain a list of documents that are acceptable to prove lawful status. The question now is whether deferred action will allow someone to meet their state’s requirements to get a driver’s license. Deferred action itself is not an immigration status, and beneficiaries of the program will not receive a deferred action document. Rather, they will receive an employment authorization document (EAD) and they will also receive a Social Security Number (SSN). 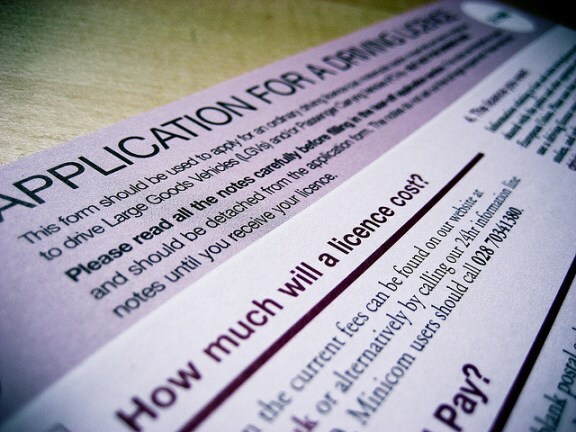 Depending on the state’s law, an EAD or an SSN may be sufficient to qualify for a driver’s license, assuming the applicant has met all of the other requirements. However, in some states it may not be clear, and further clarification will be needed to determine whether persons with deferred action are eligible for a driver’s license. Interestingly, in 2005, Congress passed the REAL ID Act which seeks to regulate state issuance of driver’s licenses. Under REAL ID, states’ driver’s licenses will not be accepted for federal identification purposes unless they meet a wide range of requirements. Among these requirements, the law specifies which noncitizens are eligible for a REAL ID-compliant license. The good news is that non-citizens with deferred action are included in the list of those eligible for a REAL ID-compliant license. However, to date, the REAL ID Act has not been fully implemented, and it is unclear whether it ever will be. Nearly 20 states have passed legislation rejecting REAL ID and refusing to implement it. Therefore, the fact that Congress has already recognized that beneficiaries of deferred action would be eligible for a REAL ID-compliant license makes a strong case for beneficiaries of the new deferred action program being eligible for state-issued driver’s licenses. Being able to drive is essential for many people living and working in the U.S., particularly in areas where public transportation is not readily available. It would make no sense to tell young people who receive deferred action that they can work, but they cannot drive to work. Eligibility requirements for driver’s licenses however are determined by each state and, unfortunately, some state officials do not have a clear understanding of the complexities of immigration law. This presents an opportunity to educate state agencies about this important aspect of the deferred action program.